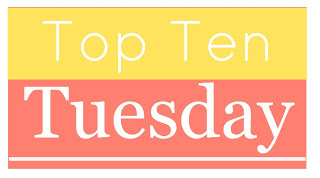 This week’s top ten is all about the joys of being a bookworm. I recently did a tag on reader problems, but the truth is that loving books can be all kinds of wonderful too. From finding new favorites to browsing bookstores, to watching a very good movie adaptation, there are just so many things for bookworms to be happy about! This is pretty much the best feeling ever. Getting to that point in a book where you just know that this book will change you. Where you are obsessed about this book and thinking about it all the time. Where you just grab every chance you get to continue reading this book. Dinner? I’ll take my book. Brushing my teeth? I’ll take my book. Can’t take my book? Then I’ll be thinking about the book or browsing Pinterest, Bookstagram or any social media for quotes or fanart. Finding a new all-time favorite may not be very good for productivity, but oh boy is it good for the soul! Book recommendations are scary. Not everybody likes the same books, but when you love something and you share that with someone, you kind of hope they will love it too. Otherwise it may crush your soul. No pressure. But when they end up loving a book as much as you love it, you have just hit gold. Not only did you get to share your book love with someone, but you now have someone to fangirl with. And we all love to fangirl. (Well I do anyway). Bonus: if someone loved your recommendations, chances are you will be able to give more of them. YAY for recommendations! As much fun as it is to browse through an actual, physical bookstore, it is just as great to order books online. Because when the books arrive, it feels like a surprise gift! A gift from you to yourself, but who cares? You get to open a box and in it you find that book you’ve been wanting to read. Bonus points if your books get delivered at work, because then it feels even more like a nice little break. Only downside: no matter how much you want to, you can’t stop work to start reading immediately. It’s usually frowned upon. Yes, I love binge reading. I have zero patience and the memory of a goldfish so it’s a bit more tricky to read series when each book is only being published a year apart. BUT it still is glorious when you love a series so much and have been anticipating a new release for ages. It’s easy to get excited about things such as a cover reveal (OMG, so pretty!) or a title reveal (OMG, what does it mean?). But then when the day comes that you have the actual book in your hands? GLORIOUS HEAVENLY BLISS! It doesn’t even matter where. Reading on a rainy day beneath a warm blanket, with a hot drink nearby. Or reading on a sunny day, outside with a cool drink nearby. As long as you can read for a whole day without having to think about silly things like work, groceries, cleaning or any of that pesky real-life stuff. Because that’s what gives you the chance to really emerge yourself in the story and the world. That’s a crucial ingredient that can turn a good book in a great book! Being a bookworm is sometimes all about the little things. One of these little things is that books can look really pretty on your bookshelf. ESPECIALLY if the series are looking all nice and the same height and the same finishing and (for me) the same language. It’s an achievement, guys, and don’t ever let anyone make you feel bad about being a matching books collector! This can be big or small, but either way it’s proof that books can change you. It’s possible that because of a book you are listening to some new music, trying something different to eat, finding a new hobby or planning your next vacation. Or it’s possible that a book gave you the motivation to change your life, or gave you the courage to try something you’ve been wanting to try forever but were afraid to. A book can make you realize feelings you didn’t know you had. It can help you deal with issues. Books can do all these things and that’s why it’s such a delight to be a bookworm! 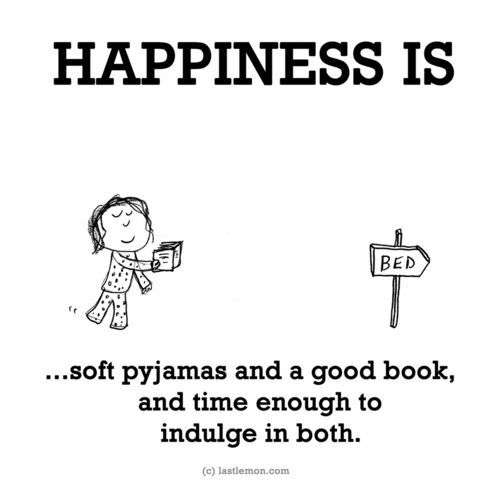 What are some of your bookworm delights? Do we have any in common? It’s so wonderful to get a book in the mail. Some anticipation (a week or so) and then, boom, your book! I really should try binge reading a series. I have never done it, hence the reason I have so many of them going at one time. Great list. YES to all of these!! Love your list <3 I really love when a movie adaptation fits a book so well. I hate bad adaptations. Thanks! Oh I haven’t ready any Jandy Nelson books yet, I will have to give them a try soon! Yes to all of these!! I love getting to browse in a bookstore when I get the chance. Great list! Being in bookstores is so wonderful! They’re such magical places. I received book mail today and was like an excited 5 year old, haha! It’s the best ?